When I experienced sake-tasting for the first time, I was really surprised at the many kinds of Japanese-sake available. Try it yourself and find your favorite one! I like Spongebob, singing songs, traveling, studying foreign languages. Please teach me your mother tongue when we meet! I'm currently learning English, Spanish, Chinese, Russian, Arabic, and hoping to learn much more! Let's enjoy Japanese cultural activities together! I can't express enough how much I loved this experience. If you're planning as you go or keeping yourself busy and have an open night near Shinjuku and and want to try some sake in an absolutely lovely sake bar, do this! I can't imagine you'd find this spot if you weren't a native speaker. The host is absolutely lovely and she sat through our crazy questions we had, and the sake was wonderful. 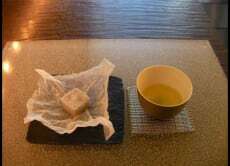 Our group had a very mixed experience with sake previously and we all got something out of it. I learned a lot, and had a lovely night, thank you Tomomi. This experience was fantastic. I had great communication with the host beforehand. After we met we had a short walk to the Sake bar and I was blown away by the amazing views. All of the Sake was great for taste and variety. I really have a better idea of what to look for when I next buy sake. The host was there throughout and was great to talk to. The finale present was great touch. Over all this was fantastic and I would highly recommend doing if you have an hour to spend in Tokyo. We had such a great time sampling different sakes with Tomomi! She was very friendly and knowledgeable, and we had great communication on where to meet. The sake tasting room she took us to was small and cozy, and only locals were there. We never would have found this place on our own, but it was a real truly a hidden gem! We sampled numerous types of sake, and they were all centered on what we liked (I like dry, my husband likes sweet). 5 Stars to Tomomi for this awesome tour - it was extremely informative and fun! Our guide Tomomi and the sake venue were awesome! If you're looking for a unique experience - this is it. Tomomi met us at the train station and led us to a local hangout spot away from tourist zones. In the venue, we had a great view of the streets and learned more than we ever knew to ask about when it comes to sake. I highly recommend taking on this adventure. Ask for Tomomi if you can 😀. Interesting experience, good chat with Tomomi. 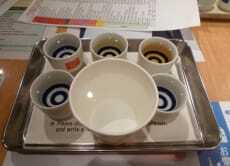 Tried 6 types of sake that we never tried before, taste-opening experience.